From the time I developed the Top 10 Members gadget (a year back), I got feedback from site owners saying that they don’t want to show up on their own site. I thought of providing an option, but did not get enough time. Now I have added a “Hide Me!” checkbox, that anyone can use to hide themselves from being shown up on the gadget. Even if the user has selected to hide him/herself, the visit will still be counted, so that anytime when he/she changes the mind, their position on the gadget will be appropriate. See, I have made 118 visits, but not appearing in the Top 10 members list. This gadget gives the option for users to like the page /post. In addition to that it shows the list of members who already liked the page, and also the other pages the same members have liked. Thus it gives a set of recommended pages to the reader from other readers who found them interesting. If you do not have Google Friend Connect, please get it. All blogger blogs are already set up with Google Friend connect.This gadget needs to be set up for each webpage/blog post of the site. I will first explain how to add this gadget for non-blogger website and then for Blogger blogs. Page Title and Page URL need to be provided properly for each page of your website. This code snippet has to be added to the Blogger template. 1. 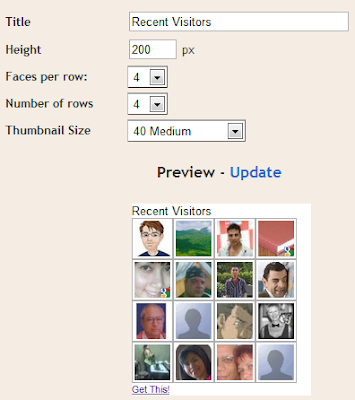 Goto Blogger dashboard of your blog. 5. Just below it, paste the code snippet, and save the template. 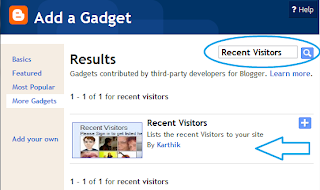 But, please do not use Recommendation gadget along with this gadget in Blogger, because only one of these will function properly (since we use Post-id as the div id for these gadgets).Any queries, feedback, comment here. Here is a gadget available, which will just display the count of GFC Members. 3. 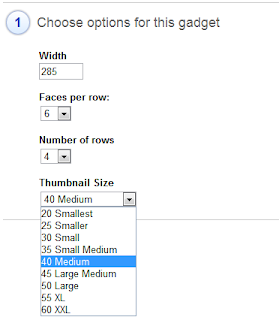 Goto the bottom of the page and click “Add Gadgets by URL” link. 6. Click “Generate Code” button and add the code. Note: The count may be lesser than what is shown in actual members gadget, but believe me, this counter is showing the correct count of your site members. Please comment here, your feedback about the gadget. Google Friend connect ‘s recommendation gadget can be added to blogger blogs, since all the blogger blogs are setup with Friend connect. The “Recommend it” button needs to be present for each blog post, and the Aggregation gadget will be only one for the whole blog. Installing the Aggregation gadget is easier. But, how to add the “Recommend it” button for all the posts? 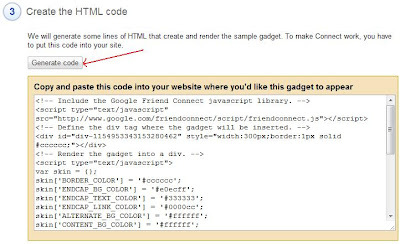 Copy the code provided under “Add this to the pages where you’d like a button to appear:” from Google Friend Connect . Some changes need to be done to the above code, for it to function in Blogger. See the below snippet, the red portions of the text are the ones you need to remove, and the green ones to be added. Any queries, feedback, comment here. This Custom BSE Stocks watch gadget for Blogger, GFC sites displays the stocks provided by the users, and updates the stock prices without needing to refresh the page. 4. Give the gadget url as http://xmlgadgets.com/ig/gfc-sensex.xml and save. 3. Click “Add Gadget by URL” at the bottom of the page. 6. Copy the code, add it to your site, Start using “Custom BSE Stocks” gadget !!! This gadget is intended for Google Friend Connect users, Blogger users. 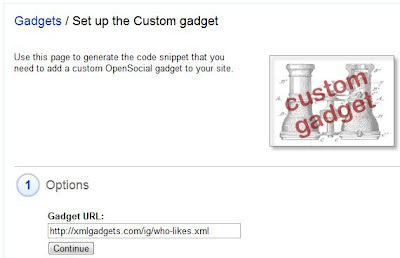 You can add a members gadget that displays Google Friend connect members of your site, and the thumbnail of the members directly links to any URL provided by the member. This gadgets favors the site members the most, since it adds a direct link to the member’s own site. When more members are interested in joining your site, in turn, you get more Followers/Members. It is better to also add a sign-in gadget above this gadget, which will be handy, when a visitor wants to join the site. 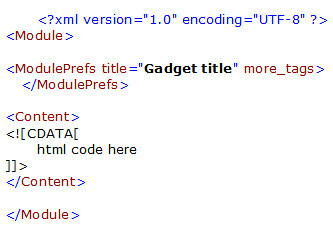 If your site has more members (say 150), consider adding text-only version of this gadget (http://xmlgadgets.com/ig/member-link-text.xml), so that it doesn’t occupy much space. 4. 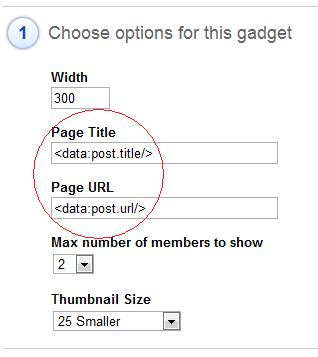 Give the gadget url as http://xmlgadgets.com/ig/member-link.xml and save. How to add this gadget to non-blogger sites? 1. Set up your site in Google Friend connect, if not already done. 6. 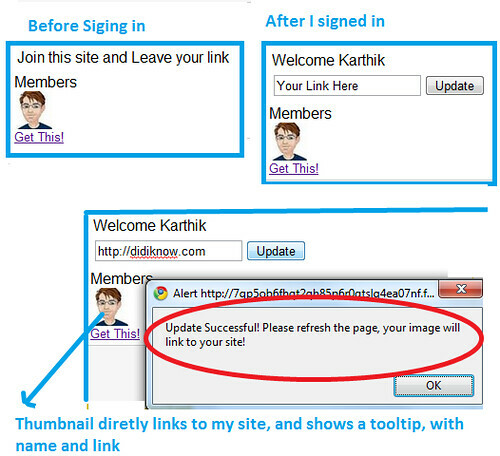 Copy the code, add it to your site, Start using “Member Links” gadget !! !